Inter Milan is emerging as a dark horse for the Serie A title. Napoli, Roma and perhaps AC Milan were expected to present the toughest challenges to Juventus’ bid for a seventh straight league title. 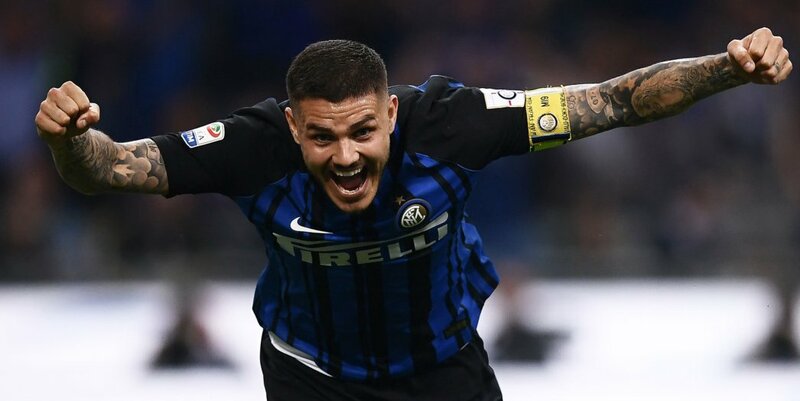 But after beating Roma comprehensively in the Italian capital as well as collecting victories over Fiorentina and Spal, Inter Milan could pose a serious threat. Vecino, who joined from Fiorentina in the offseason, said much of the credit is due to Luciano Spalletti, the team’s new coach revealing that Spalletti has given him a lot of confidence which is fundamental for a player when arriving at a new team. Spalletti, a former Roma coach, has seemingly provided some much-needed stability to Inter after a tumultuous campaign last season that included four coaching changes. Guidolin has also said he believes that Inter Milan are playing for the with title Juventus and Napoli but he pointed out that it has just been three games into the season and it was important not to get carried away. Inter has scored eight goals and conceded only one, which doesn’t bode well for its next opponent as Crotone is the only Serie A side yet to score in its its three opening matches. Inter will be expected to pick up all three points at Crotone and continue its unbeaten run into October, as it next faces Bologna, Genoa and Benevento before two much sterner tests against Milan and Napoli.